Your office, facility or business environment is a true representation of the image your company wants to portray in their industry. In this time of ever increasing overhead costs, many companies are focused on creating healthy workplaces for a sustainable future. ServiceMaster for Vancouver West specializes in facilitating healthy workplaces by maintaining and protecting your investment at the same time. 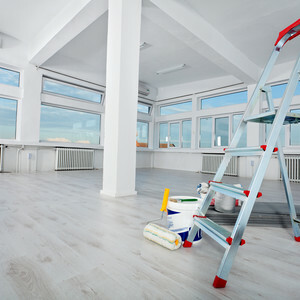 ServiceMaster for Vancouver West has been servicing commercial buildings and businesses for over 18 years providing " the clean you expect and service you deserve." We are proud to provide Restorative Carpet Care and Preventative Maintenance Programs to Vancouver's downtown core, west-side, north shore and west Vancouver. Our facility is centrally located in Burnaby with our sister company ServiceMaster Restore of Vancouver, who provides emergency restoration services for water and fire damage. Our range of services includes: Commercial Carpet Cleaning, Upholstery & Fabric Panel Cleaning, and Hard-surface Floor Cleaning/Waxing. We also have a variety of other services that include Post Construction Clean-up for clients enduring the renovation process. ServiceMaster for Vancouver West is a leader in the commercial cleaning Industry. We provide our customers with a strong knowledge base, expertise in dealing with almost every cleaning situation and quality of workmanship. We do this by having experienced and skilled technicians who follow the latest manufacturer approved methods, products and services. At ServiceMaster for Vancouver West customer satisfaction is very important to us and that's why we have developed TellServiceMaster an on-line Customer Service Survey. Our customer's feedback is important for us in order to maintain an exceptional level of office cleaning services. We have a high commitment to excellence for our workmanship and customer service. Every job is handled professionally with clear communication, a thorough pre-inspection and afterwards a follow-up call or inspection. Our goal is to have our skilled technicians provide an "ordinary task with extraordinary service." ServiceMaster for Vancouver West believes that "a Healthy Business is a Strong Business." That's why we are committed to using products that are environmentally safe and have been approved and certified by Green Seal and EcoLogo™. The product we use is GREEN FOR™ Carpets, which removes soil, stains and allergens from your carpets without the use of toxic chemicals. GREEN FOR™ Carpets leaves nothing harmful in the carpets after cleaning and is safe for all occupants in the office including individuals with asthma and chemical hypersensitivity. ServiceMaster has embraced this development because we are concerned about improving the air quality for the people that work and live in the environments we clean. For more information on Environmental Stewardship and how to get your business to GoGreen and even earn LEED® points click HERE. We accept payment by Paypal, MasterCard, Visa, Wire transfer and cheque.